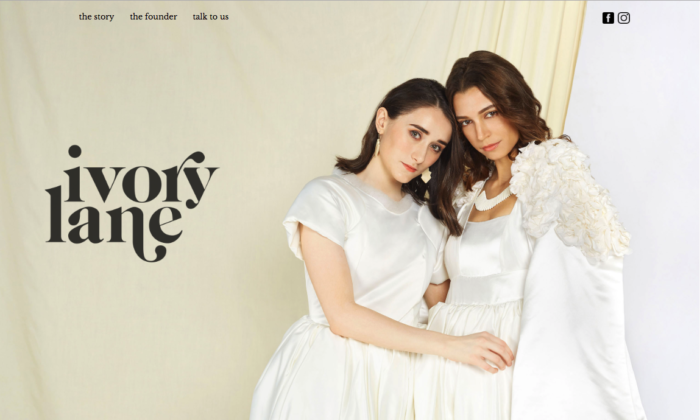 A recent scandal in Singapore surrounding an online brand called Ivory Lane has been unveiled as a PR campaign by the WWF to prompt awareness of the global trade in elephant ivory. In a press statement, WWF said it set up a fictitious online ivory shop, Ivory Lane, to raise awareness on the fact that elephant ivory claims one African elephant every 25 minutes, but remains legal for sale in Singapore under certain conditions. The stunt prompted a strong public outcry over the past week, reaching 250,000 people and garnering 65,000 reactions within six days. The stunt sparked off a heated public debate on wildlife trade on social media, national legislation and enforcement in Singapore. An online website created for the fictitious store now links back to the WWF site. On social media, netizens shared their disdain for the practice. Meanwhile, the statement from WWF added that currently only 8% of people in Singapore understand the current legislation on ivory and 50% think that the trade of elephant ivory is already banned in Singapore. The Ivory Lane online shop was part of a broader investigation. WWF’s investigations found over 40 shops in Singapore selling ivory products, along with numerous online listings on popular e-commerce and classified platforms. In physical shops, traders explained how to smuggle ivory across borders undetected, showing WWF investigators how easily the loopholes in the law can be misused. “It is not easy to understand wildlife laws and what is legal and not, a reality that is often misused by illegal traders. The general uncertainty leads to illicit wildlife trade hiding in plain sight. We set up the online shop, Ivory Lane, on the same legal premise that the real ivory traders use to operate in Singapore,” said Elaine Tan, CEO of WWF Singapore. Underlining the lack of clarity in local wildlife laws is a WWF-commissioned survey by third party market research firm, YouGov. Did it make an impact with the right people? The unwashed masses will not be moved by this stunt which validates the idea that it’s okay to peddle fake news for a just cause. Sitting on the opposite end of the spectrum, Joseph Barratt, CEO of Mutant Communications lauded the campaign for the impact it had. Any allegations that the campaign spread fake news is misrepresenting a real issue in the media today. He added that WWF ran a campaign with a clever reveal that did more to drive awareness around Ivory and illegal wildlife than any press release would have. “Sure, some people are going to be angry, but that’s just how people are. You can’t do anything different without drawing some criticism. I’m glad to see WWF taking risks and pushing the boundaries for their cause,” he added. This comes weeks after Singtel launched its digital GOMO product to appeal to digital natives and Millennials. ..